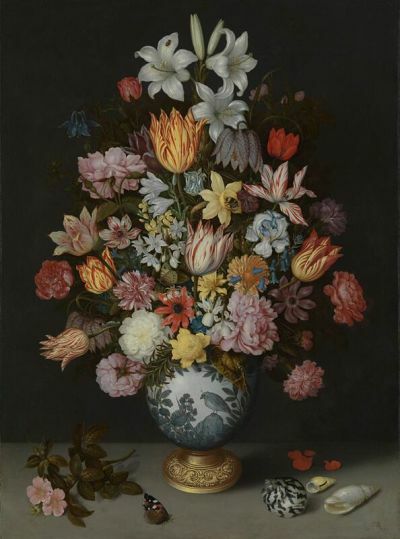 The intensity of colour and texture emulates the two tone varieties often found in Bosschaert&apos;s paintings, replicated through the use of Marie-Claire Roses in this vibrant bouquet. A central stem of Oriental Lily adds stature and fragrance, surrounded by an array of sumptuous blooms. 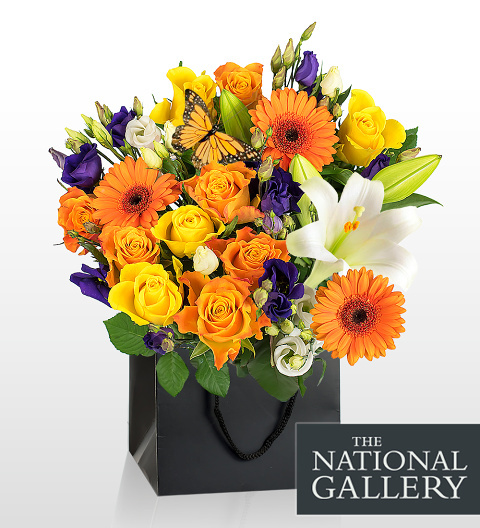 Each bouquet comes with its own decorative butterfly subtly positioned as in Bosschaert&apos;s paintings.